That Scale To meet Requirement of any Type of Medical Store. Is so simple and easy to understand and use. It is not necessary to know more about computers. A person having typing knowledge and some accounting knowledge can master of this software in NO TIME..
Axis Pharmacy Pro 12. software is a comprehensive solution designed to automate the activities of medical/ Pharmaceutical Retailers. Axis Pharmacy Pro 12. has the Capability to administer the total enterprise and efficiency and manage information. It is designed with an easy-to-use interface. 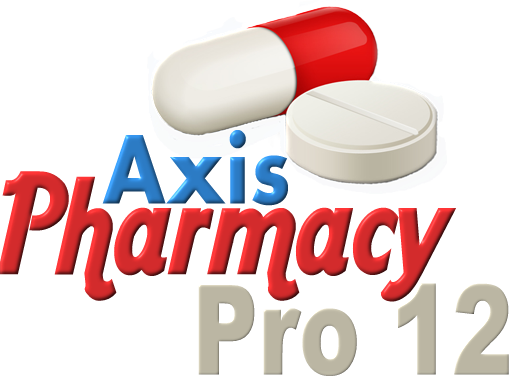 Axis Pharmacy Pro 12. is an automated system for any large/medium Pharmaceutical Retailers,. It covers Complete Customer Management, Inventory Reporting, Cashier with integrated accounts, Product database etc. Thus this software is a complete business management/medical stores-shop management/ retail chemists and druggists management. User Friendly & Graphical Interface With Keyboard Shortcut Enabled. Built on Latest and Reliable .NET framework Technology. Integrated with In Built Barcoding.